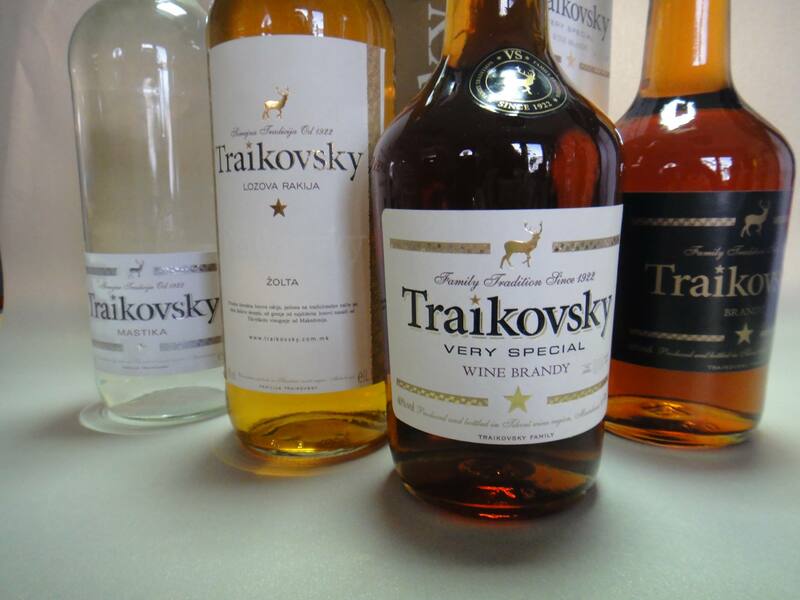 Traikovsky is a family-owned winery and distillery located in the village of Krnjevo (Крњево) that has been carrying forward the family tradition since 1922. The village of Krnjevo where is located 28 kilometers south of Kavadarci and 126 kilometers (2 hour drive) south of Skopje on the foothills of Mount Kozuf. 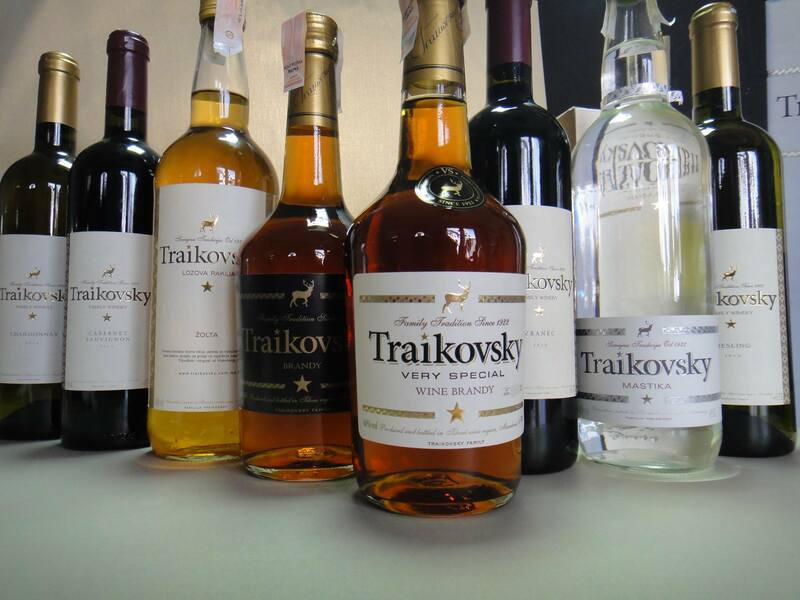 For wines, Traikovsky crafts single-varietal wines from Cabernet Sauvignon, Chardonnay, Grenache Blanc (Belan), Merlot, Riesling and Vranec. 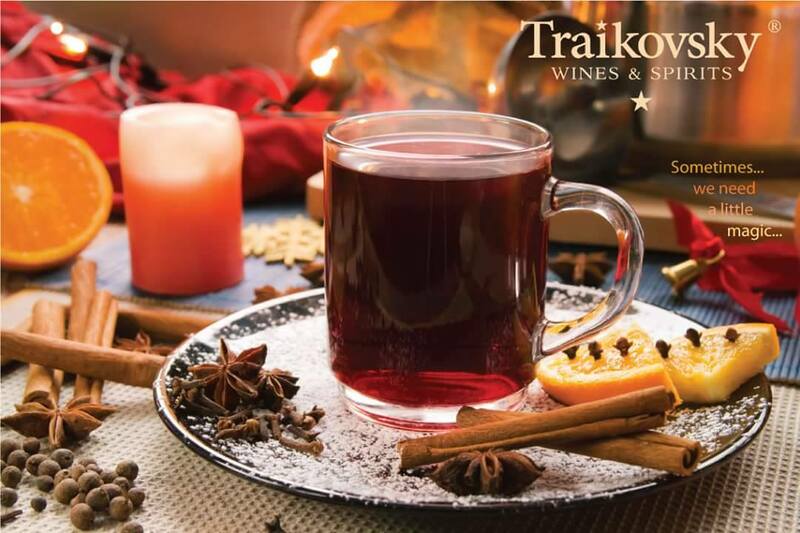 Please note that visits to the winery and wine tastings should be booked in advanced to ensure someone is there to receive you. 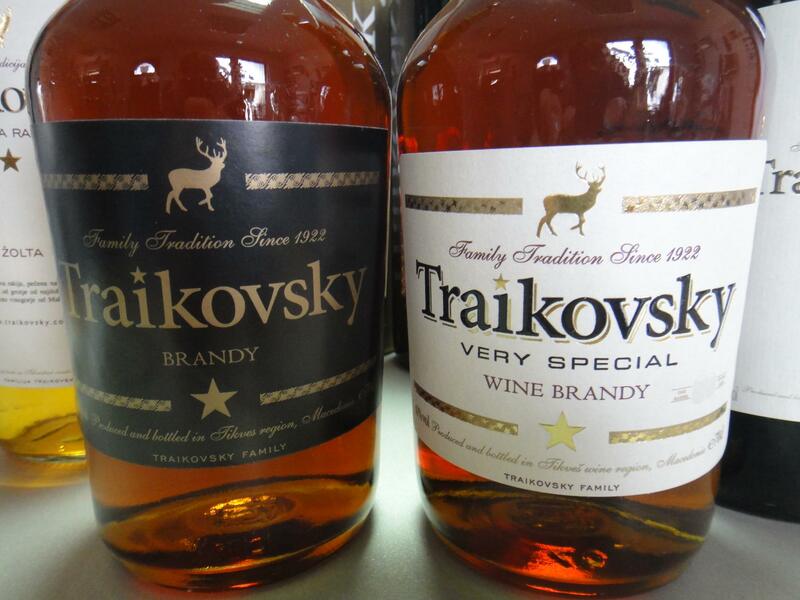 For spirits, their vision and commitment to high quality spirits is evident in the production of their eau-de-vies such as their Traikovsky Brandy, Brandy VS (aged three years in oak barrels), their rakija and mastika. 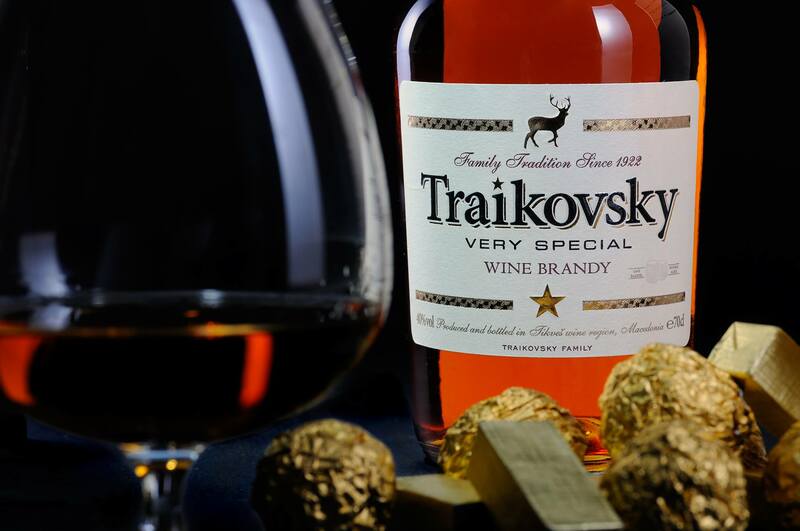 The Brandy VS has very nice deep auburn hues, mahogany colored dense oily beading, is well balanced and well-bodied eaux-de-vie that is nicely dry. 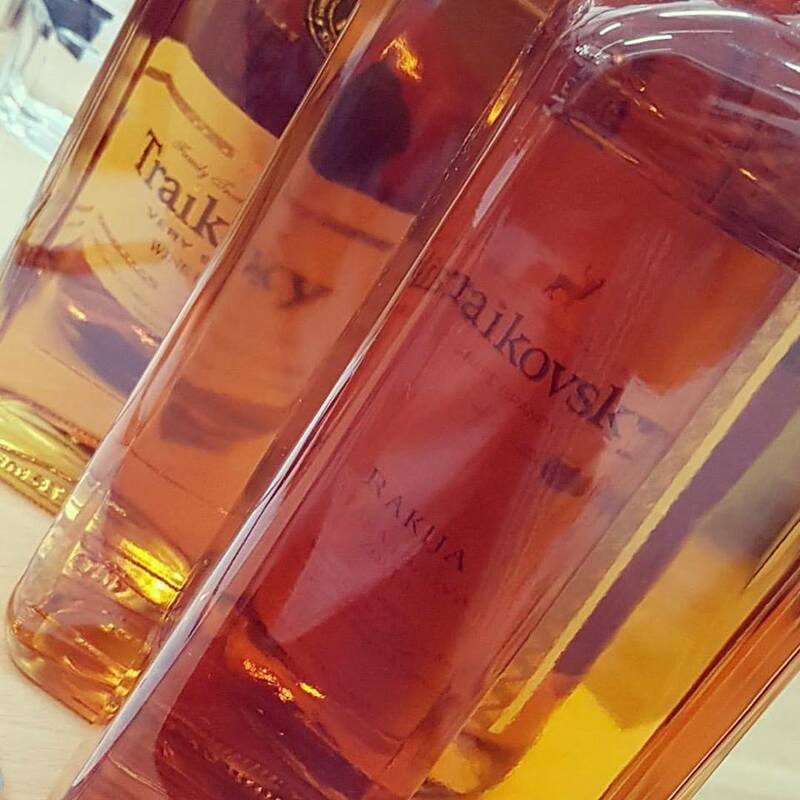 The Mastika aroma features tarragon and grapey fennel fruit salad, has zero sharpness, that fades into a very appealing fragrance of fine herbs and green peppercorns. 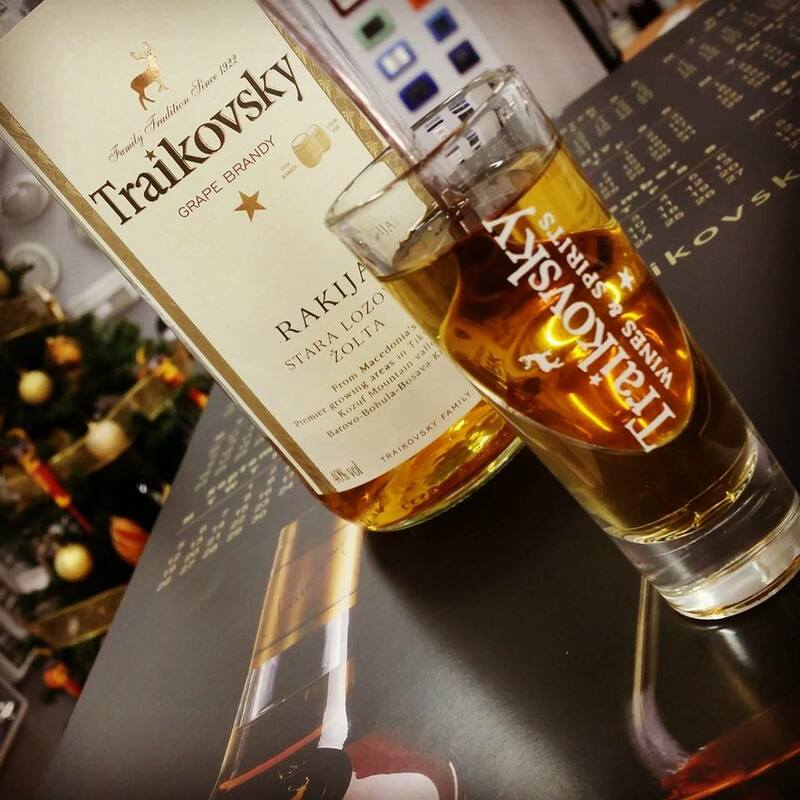 The Lozova Rakija is a proprietary blend ofwine varietals Cabernet Sauvignon, Chardonnay, Riesling and Vranec and from table grapes such as Kardinal and Rivier.